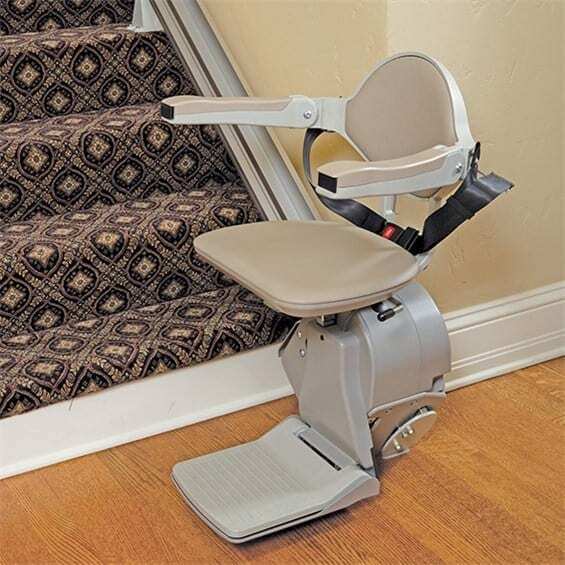 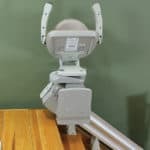 Bruno's Elan indoor stairlift is the affordable stair chair to help you stay in the home you love. 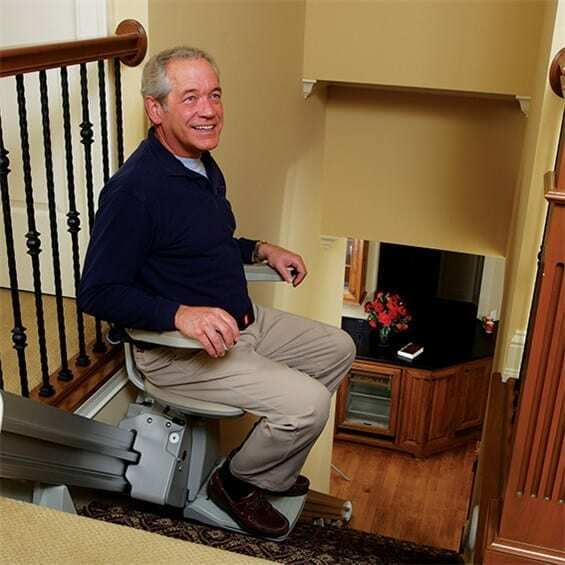 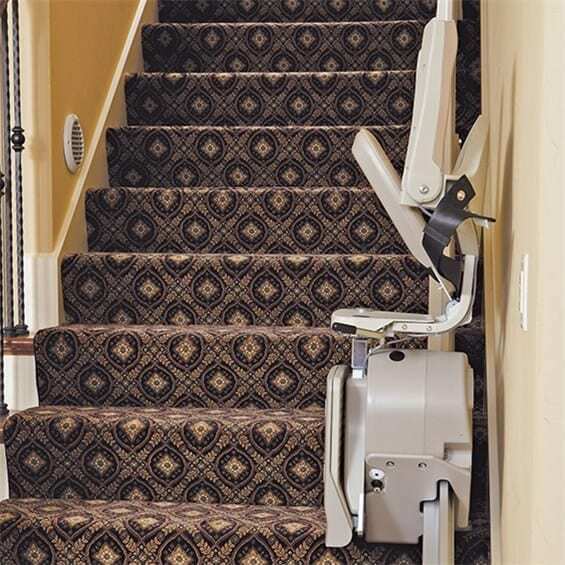 The Elan stairlift offers high-quality, dependable American craftsmanship that's easy to use. 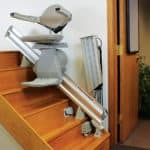 Bruno's Elan chairlift installs close to the wall for maximum open space on steps. 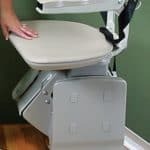 Choose from a variety of available options make your stair lift even more comfortable. 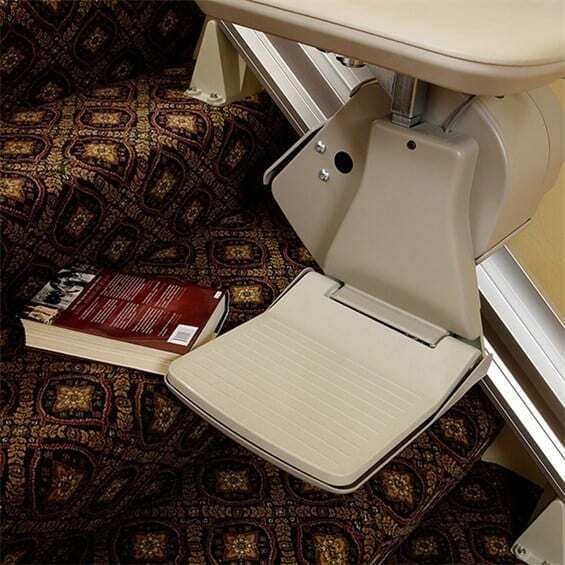 Power folding footrest automatically flips up/down when seat is raised/lowered. 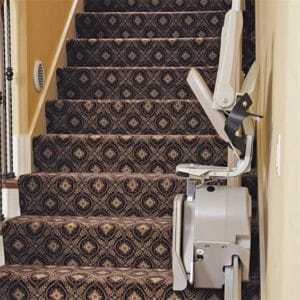 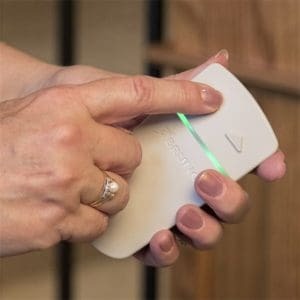 Arm switch control optional. 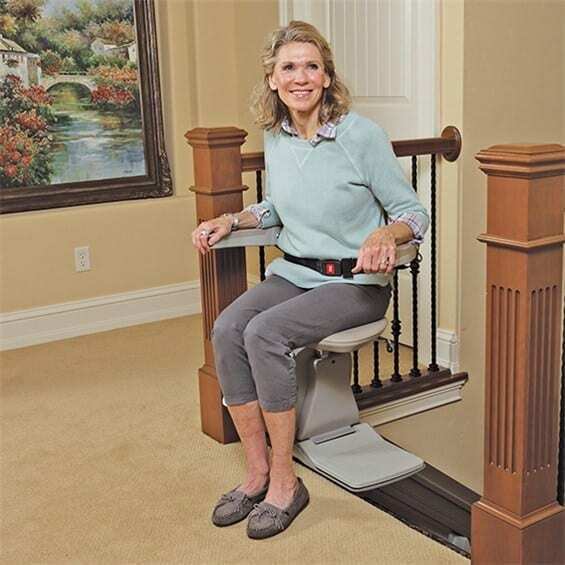 Power or manual folding rails for narrow hallway or when doorway is at bottom of stairs. Manual operation or push-button automatic.